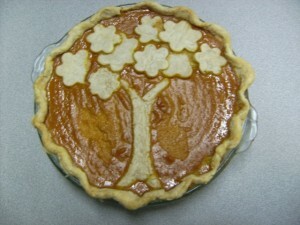 Last year my students did a Thanksgiving pie fundraiser-selling pumpkin and apple pies. I used Libby’s Pumpkin Pie recipe found here. I purchased my containers at Ocean State Job lot because I could not find them in mass quantity at Restaurant Depot. Last year they were $.22 ea. I bought boxes to transport the pies home in from Restaurant Depot. You can download my Excel spreadsheet with how I got my pricing by clicking Pumpkin Pie Fundraiser. You can price out your food from wherever you get it and put those prices in the spread sheet. You can also play with the sell price to see how much profit you want to make. The only thing I don’t include in pricing is spices and salt because they are like less than pennies for a tsp. You can make up a similar spreadsheet for apple pies if you are going to make them too. How much you sell the pies for is dependent on how much profit you want to make and how much the ingredients cost you. Buying ingredients from a local grocery store will make the pies cost more and then you would have to charge more to make a profit. In general it is a good idea to find out what your customers are willing to pay and what your local supermarket is selling them for so that you’re not way more expensive. As far as freezing: I froze the pumpkin pies and apple pies and sent them home with everyone frozen. I don’t think I would necessarily do that again with the pumpkin pies because it offers no advantage to the customer. For example most people like warm apple pie so if they bake them themselves they can have them hot out of the oven. Pumpkin pies need to cool for like two hours after baking; but if you don’t have room or time you could send them home frozen with each customer. I have block scheduling but with fifty minutes you could have one class make/roll out the dough and another class make fillings and assemble. Another cute thing to do is to cut dough into leaf shapes using a small leaf cookie cutter and line the edges of the pumpkin pie with leaves.